A company has been fined £120,000 for running a “fire trap” hotel in York city centre. Their actions put at least 1,300 people’s lives at risk. 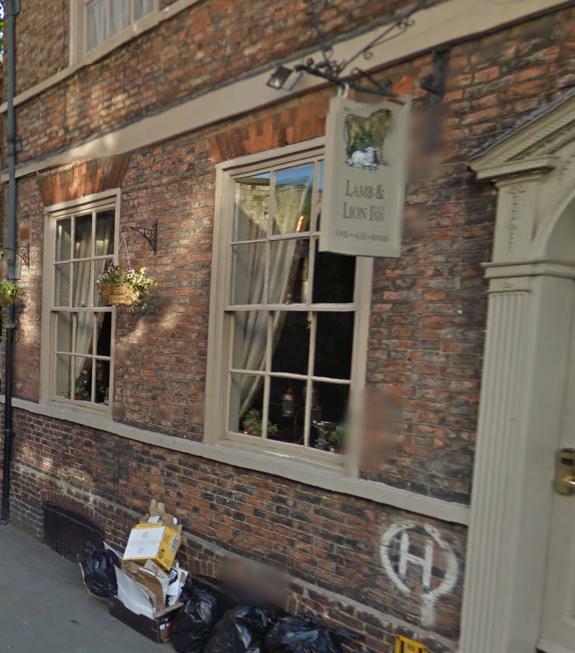 Management at the Lamb and Lion Inn in High Petergate were warned three times in a year that their fire alarm system needed attention, Karen Galloway for North Yorkshire Fire and Rescue Service, told York magistrates. But they did not replace it until after fire officers forced the hotel to close while its fire safety measures were brought up to standard. She said a guest who stayed at the hotel between December 2016 and March 2017 described it as a ‘fire trap’. In the same period, 1,300 people had stayed in the hotel. “The hotel has operated for many months and continued to take bookings despite many warnings that the (alarm) system would not work properly in the event of a fire,” she said. In December 2016 had told the hotel its fire alarm system needed replacing urgently. Ms Galloway said when fire officers inspected the hotel on March 9, 2017, after an anonymous tip off, they found the fire alarm out of action. They also found a catalogue of other fire safety problems at the 12-bed hotel. These included faulty fire doors, a smoke hazard that could block the one exit from the upper floors and flammable items such as linen stored without fire protection. Ben Williams, for Sloping Tactics Ltd of Halifax, which owned the hotel at the time, said it had been “patching” up the fire alarm problems from January 2016. They hadn’t realised the fire alarm had been “condemned” until two days before the fire officers’ visit. It had started the process of replacing the fire alarm system in December 2016. He denied that the company had delayed replacing the fire alarm for financial reasons or had flagrantly ignored fire safety. He said there was a night porter patrolling the building. The company pleaded guilty to three charges of breaching fire safety regulations between December 2016 and March 2017. They were fined £120,000 with £2,863.39 costs and a £170 statutory surcharge. After sentence, Mr Williams said the company couldn’t “discharge” or pay the fines. Earlier he had said the company was currently not trading but did have finance. Ms Galloway said the hotel was sold by SlopingTactics Ltd to Lamb and Lion (UK) Ltd in March 2017 for £2.7 million. Fire station manager David Watson said after the court case: “North Yorkshire Fire and Rescue Service will in most cases give responsible persons chance to comply with the legislation before taking legal proceedings. “However, where cases are found where there is risk to life of death or serious injury in the event of fire, prosecution will be considered and where appropriate taken. “In this case the responsible person co-operated with the investigation and acted quickly to put things right. The seriousness of the failings however meant that a prosecution was appropriate. This article was published by York Press and you can it by clicking here. If you require any assistance with your fire safety requirements please contact us on 0800 027 2480 or by filling out this form. This entry was posted in Building Safety, Fire, Fire Doors, Fire Safety Order, Protection. Bookmark the permalink.